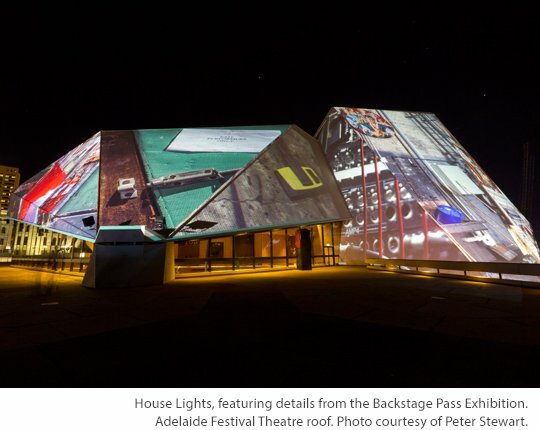 Another 40th Anniversary event, House Lights was been created by The Electric Canvas and featured a looping presentation that wrapped around the roof of the Adelaide Festival Centre. 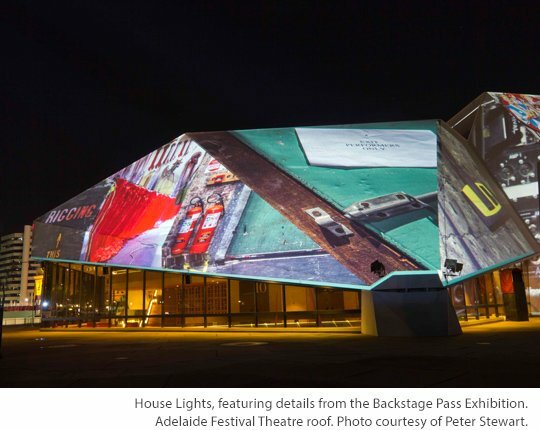 Photographs from the Backstage Pass Exhibition were selected to represent Theatre Craft. 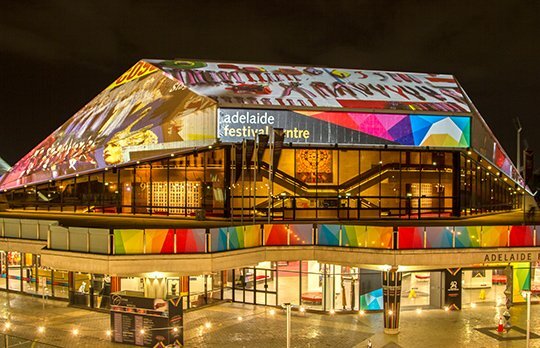 The images were cropped to fit the unusual angles of the Adelaide Festival Theatre roof. 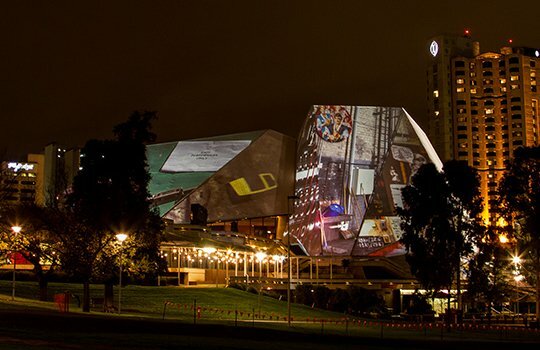 The projections were displayed every night for the month of June, 2013. 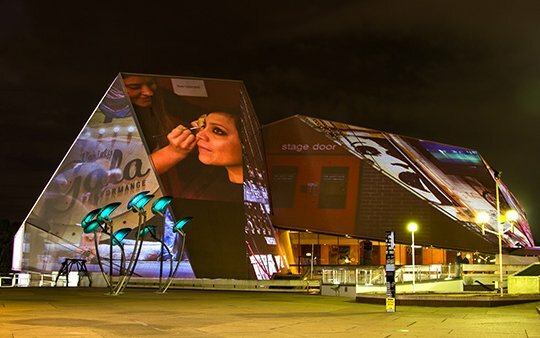 Visit The Electric Canvas website for additional photographs. A special thank you to Peter Stewart for braving the cold to take some of the photographs below.